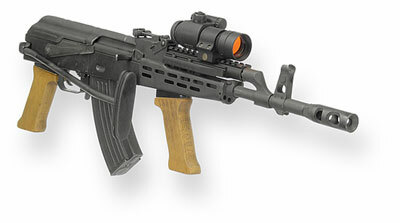 Same as M1-B but designed for the shorter piston tube of many Hungarian AKs. Replaces original piston tube and clamps directly to barrel for maximum stability and accuracy. Solid, one-piece 6061-T6 hard anodized aluminum body. 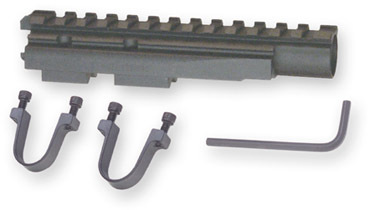 Includes barrel clamps of 4140 steel, screws, Allen wrench and instructions. A rock-solid platform for your premium optics. Will the UltiMAK Optic Mount fit my rifle?